What is the Family Court Review? Family Court Review (FCR) is a peer-reviewed international, interdisciplinary journal that is published quarterly under the auspices of the Association of Family and Conciliation Courts (AFCC) in cooperation with Hofstra Law’s Center for Children, Families and the Law. FCR, published by Wiley-Blackwell, is the official journal of the AFCC, an interdisciplinary, international association of judges, counselors, evaluators, mediators, attorneys and others concerned with the constructive resolution of family conflict. With 4,700 subscribers worldwide, it is one of the most influential and widely read journals in the field of family law, frequently cited in judicial opinions as high as the United States Supreme Court. Now approaching its 57th volume, FCR publishes articles written by experts in various facets of family law and is a forum for continuing dialogue and the exchange of ideas, programs, research, legislation, case law and reforms for attorneys, judges, mediators and the mental health and social services communities. FCR is made possible by the collaborative work of the Hofstra Law student staff members, Editor-in-Chief Barbara Babb of the University of Baltimore School of Law, Social Science Editor Bob Emery of the University of Virginia, Faculty Administrative Editor Matthew Kiernan of the Maurice A. Deane School of Law at Hofstra University, AFCC Executive Director Peter Salem, and the FCR Editorial Board. At the end of each year, a small number of Hofstra Law students are selected as members of FCR’s editorial staff through a writing competition, with special consideration given to students who are seriously interested in family law and family dispute resolution. Their mission is to edit and proof the articles submitted for publication by family law professionals and to write student staff member Notes for each issue. Each year 20 student staff members are invited to be members of FCR, usually with a maximum number of eight students having their Notes published each year. These research-intensive Notes give the students the rare opportunity of being published while they are attending law school. The submission process for FCR proposed articles involves multiple phases. When a manuscript is submitted to FCR, it is subject to a rigorous, in-depth review process, which ensures that only the highest-quality works are published in the journal. Either the editor-in-chief or the social science editor selects three editorial board members to review a manuscript, evaluating numerous factors to determine whether the article is a publishable topic and format for FCR. These completed reviews are then provided to the author upon the editorial decision of the editor-in-chief or the social science editor. Each review is also sent to all three of the reviewers so that the collaborative work product can be viewed by all involved in working on the manuscript. Once a manuscript is accepted, the Hofstra Law student staff members go to work on editing and proofing the article. As the managing editor, when I receive the accepted manuscripts, I send them out to the managing editor of articles, Samantha Lollo, who delegates the necessary editing and proofing assignments to other student staff members. The staff members review the articles for spelling and grammatical errors and to ensure that the sources provided by the authors are cited correctly, completely and with the most up-to-date links and databases. The student editing process in its entirety takes three months, with five different levels of staff members checking the editing and proofing work done on the articles. Once the article proofing process is completed, the articles are then sent to me as the managing editor, and I perform a final proof of each article before sending them on to the publisher. Prior to Wiley-Blackwell’s printing of the publication, and after it has edited the articles in conjunction with the authors, the student staff members do one more final check for any last-minute errors that may have been overlooked, this time with three levels of student staff member review. In addition to their other FCR responsibilities and their law school studies, the student staff works all year on Student Notes, which is on a topic of their individual choosing in the area of family law, with the hope of being selected for publication in FCR. The students are required to attend weekly classes to discuss their Note topics and progress, as well as perform weekly assignments to build on their topics. 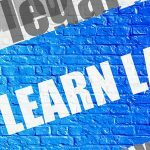 The Notes must present a novel idea or problem in the field of family law, and the students must propose a feasible solution. The problem and solution cannot have been written about previously. The Notes are required to be 25 pages long, with a minimum of 150 footnotes cited in accordance with the most recent version of the BlueBook: A Uniform Citation Code. This combines the research skills the students have learned in law school with their own ingenuity and creative ability to find a solution to the problem. The managing editor of notes and comments, Alexandra Faver, and the notes and comments editor, Ian Bergstrom, work diligently with the student staff to ensure their Note topics are of publishable quality and reflect the core principles of FCR and Hofstra Law. Another benefit of being a student member of FCR is its stature in the family law field and the doors that it opens. At the end of the fall semester, after months of working on the journal, FCR junior staff members are provided with the opportunity to present their Notes to various professionals in the family law field, called panel presentations. The students are divided into groups and over a four week period, each group presents to one of four panels of different family law professionals. The presentations are required to embody their Notes as a whole: their identified problem, why they selected it as a problem, their proposed solution and how their solution would fix the identified problem. The panels include judges, lawyers, professors and other experts in the family law field. The panelists provide thoughtful insight into how the proposed solutions would fare in the real world and possible alternatives if need be. Many of the student staff members have even met privately with the panelists from their presentation night to discuss their notes in more depth. These are invaluable connections that the students would not have made without having worked on FCR. The willingness of these professionals to offer their knowledge and guidance, despite their busy schedules, speaks volumes about their dedication to the family law field and to the success of our future family law attorneys. Being the managing editor (fall 2017 and spring 2018 semesters) of such a prestigious publication has been an incredible learning experience for me. I oversee coordination and communication between FCR’s editor-in-chief and social science editor, FCR’s publisher, Wiley Blackwell, and the FCR student staff at Hofstra Law. The tasks involved in the managing editor position are numerous but extremely rewarding. Being the go-to person, let alone student in charge of delivering such a well-respected publication to the family law community, is truly an honor. Seeing the hard work and expertise that the authors and FCR staff put into this journal is one of the many positive experiences that I will take away from my time at FCR. I am also responsible for organizing the FCR table at the Annual AFCC Conference in order to promote FCR and solicit authors. The 2017 conference held in Boston demonstrated to me how influential and important FCR is to the AFCC members and the family law community. While I was working at the FCR table, along with the managing editor of notes and comments, we were approached by many professionals in the field who spoke of the importance and influence that FCR has in their practices. Whether it was for guidance on emerging practices or theories, or for learning about an unfamiliar topic in family law, each and every member had nothing but the utmost respect for FCR and its work. It is quite an honor to have been selected for the position of managing editor at this prestigious publication. My time in law school has been forever changed by being a part of FCR and by working with such a dedicated group of people. I will forever be grateful for the rewarding experiences, and to Barbara Babb, Bob Emery, Matthew Kiernan and Peter Salem for giving me the opportunity to grow as a person as well as a lawyer. 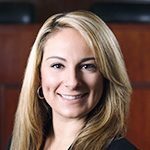 Lisa Fenech is a 2018 graduate of the Maurice A. Deane School of Law at Hofstra University.